It’s that time of year again when millions of people resolve to make a change in their life. New Year’s resolutions have become an end of year tradition for many people who have lost their way during the previous year and want to make amends for straying from the direction they wanted to go. Some may resolve to eat better, exercise more, set new goals, get a better job, give more, drink less, or even get on a healthy financial plan. All of these take commitment, perseverance, dedication and will power. It takes saying “enough-is-enough” and developing a plan that WILL take you to your destination. It’s never easy to follow-through long term with resolutions. We all have fallen, have come short of our goals and quit when a roadblock fell in our way. Many fail because they did not develop an executable plan that is broken up into bite size actionable items. 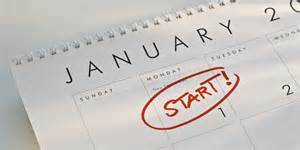 Let’s look at 2015 as a New Year with a New Plan. Let’s commit together to resolve one issue in our lives that has caused us much stress. If it’s your finances, focus on creating a budget that includes not only your fixed and variable expenses but your periodic expenses as well. Reduce or eliminate any discretionary expense that is unhealthy, adds no value to your life, habitual, or unnecessary. Use that freed up money to pay down your lowest credit card debt until it is gone then concentrate on the remaining debt. Make sure you have an emergency fund established in case of the unexpected. Find ways to increase your income and decrease your expenses. Make every effort to develop a plan that will bring you closer to your end goal every day. Good luck and may you all be blessed abundantly in the coming year. The staff at WayPoints Financial Services extends our best wishes to you and your family. If you are lost in your financial journey, give us a call. Looking at that mountain of debt is intimidating; lets be honest. However as with any goal it’s about setting attainable intermediate goals so that you can see little successes on the way. As you go through the year and occasionally deviate from your desired course remember that you can always right the ship and continue the journey. One last thing as you move forward. As important as it is to continuing looking at the peak of the mountain, always remember to look back and see what you have already accomplished.